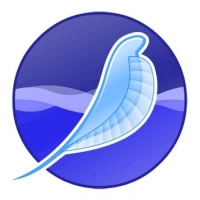 SeaMonkey 2.13.2 is a free Internet tool which supports all the protocols that you need to ensure smooth web browsing, email and newsgroup reading, and HTML editing. 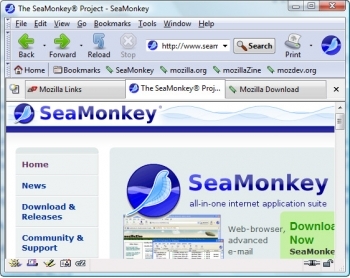 SeaMonkey gives you a better way to surf the net. You no longer have to open one page at a time. With tabbed browsing, open several pages at once with one click. Plus, your homepage can be multiple pages, in tabs. - Add-ons Management provides almost infinite possibilies to extend your Internet experience both through installing additional functionality created by others and even freely developing your own extensions and providing them to the rest of the SeaMonkey community. - Feed detection notifies you when web pages offer RSS or Atom feeds, and feed preview lets you view their contents and choose a reader with which to subscribe to those - including an internal reader in the Mail & Newsgroups component of SeaMonkey. - Smart Location Bar enables you to search your visited web pages right when typing in the browser's location bar and finding what you want to re-visited as fast as possible by learning which pages you visit frequently.